Nosferatu the Vampyre - German horror film written and directed by Werner Herzog in 1979 is a stylistic remake of F. W. Murnau's 1922 German Dracula adaptation Nosferatu. 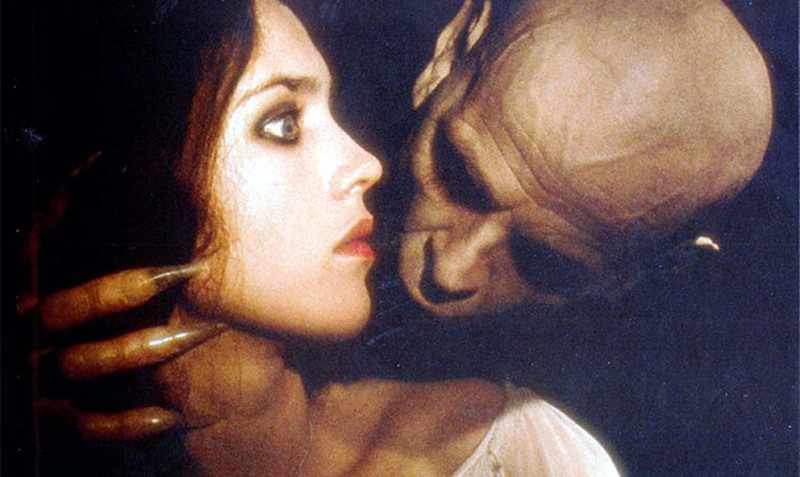 The picture stars Klaus Kinski as Count Dracula, Isabelle Adjani as Lucy Harker, Bruno Ganz as Jonathan Harker. This film is a part of Season of Stars: Isabelle Adjani. Jonathan Harker (Bruno Ganz), a real state agent, goes to Transylvania to visit the mysterious Count Dracula (Klaus Kinski) and formalize the purchase of a property in Wismar. Once Jonathan is caught under his evil spell, Dracula travels to Wismar where he meets the beautiful Lucy (Isabelle Adjani), Jonathan’s wife, while a plague spreads through the town, now ruled by death. Herzog follows the structure of F. W. Murnau's famous "Nosferatu" (1922), one of the greatest of all silent films. That was based on Bram Stoker's 1897 novel Dracula.